This Ruffle Trim Tree is similar to the muslin tree that I made the other day... But much more simple to make. In fact, aside from letting some paint dry, it took less than 5 minutes to put together. It's easy. It's pretty. Who's in? 1-1/8 yard ruffle trim; regular price $5/yard at Joanns... use a coupon if it's not on sale! This project is so easy... It's awesome! 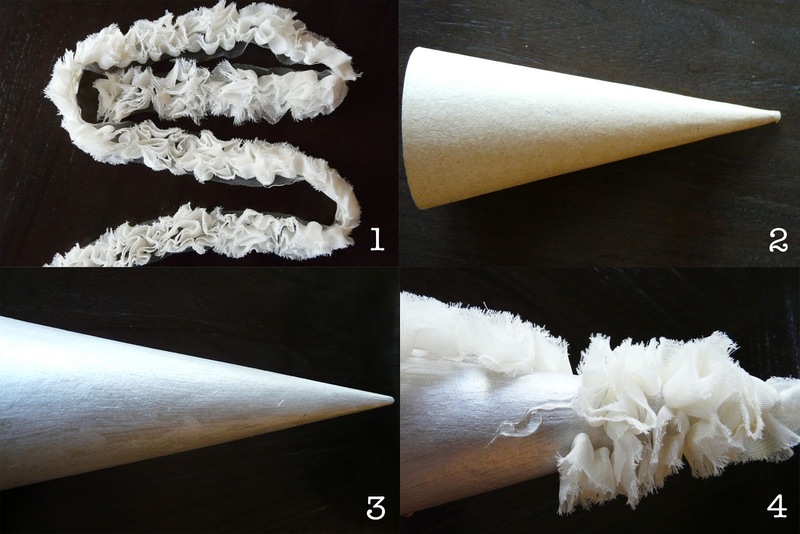 3. if you don't want the papier mache cone to show through, paint cone with mother of pearl paint and let dry. 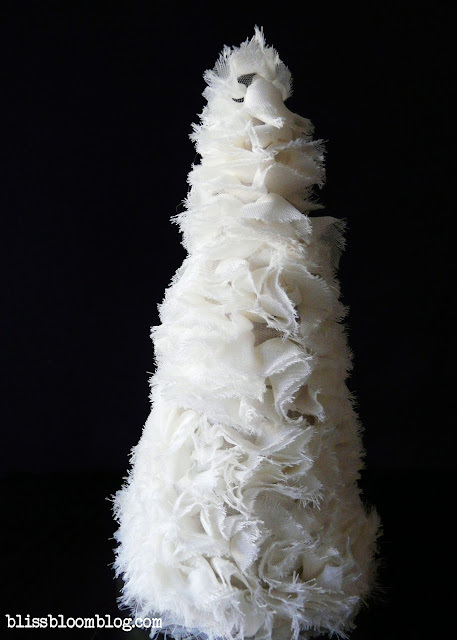 4. starting at the tip of the tree... put a dot of glue and glue the end of the ruffle to the tip. 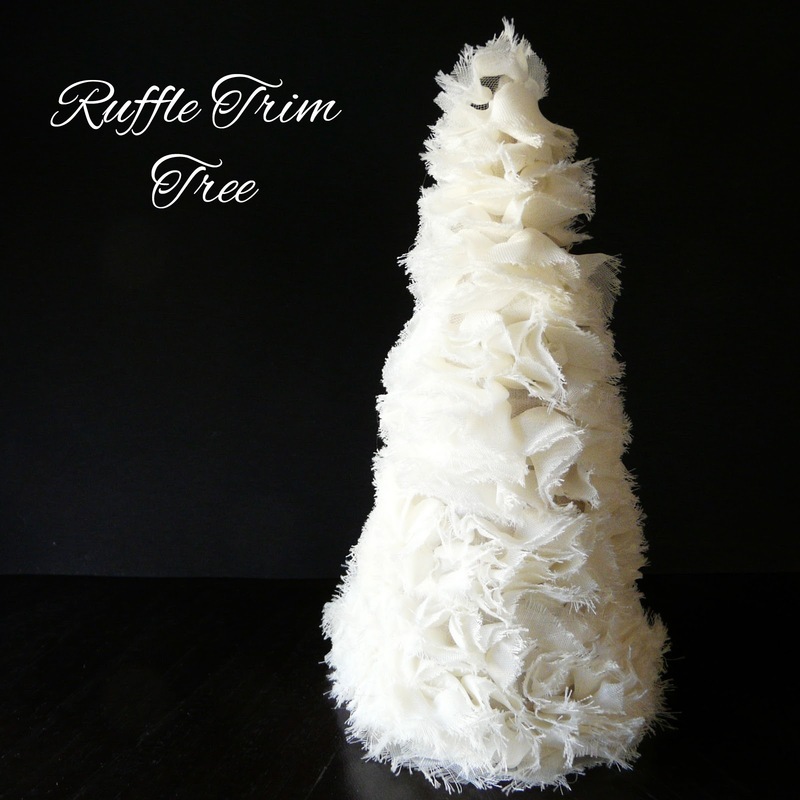 continue wrapping around ruffle trim. put a dollop of glue every couple of inches and press ribbon down. Fluffy and deconstructed... I like it! Some ornament ideas coming up next! A Little "Bliss Bloom Blog" in an Ebook!